While most people hunkered down indoors to avoid Vancouver’s snowy theatrics, there were a few brave souls who ventured outside. And for those who were looking to tackle another SkyTrain commute during rush hour, there was a very pleasant surprise for them. 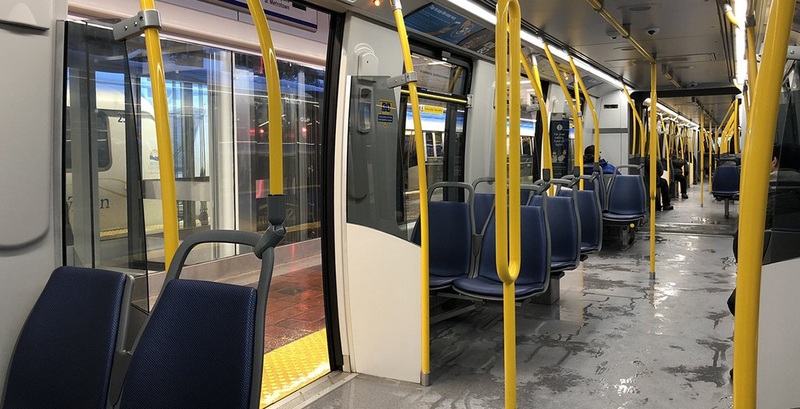 TransLink’s SkyTrain, which saw nearly hour-long delays during Monday’s commute, appeared to be nearly empty on Tuesday morning. Photos shared by social media users revealed empty cars and unoccupied platforms, and a number of users gave a big shoutout to transit employees for their work. Of course, there is much less demand today as all public schools in Metro Vancouver are closed and classes throughout the day at all universities and major colleges are cancelled. Many who normally commute to work likely also stayed at home. Here’s to hoping that public transit can stay like this for at least a little bit longer. @TransLink ok, yesterday’s commute made me pretty cranky but I’m delighted to report my wait for a train today was a whopping 3 minutes. 😉 Thank you for all you did to get prepared for today, seems to be working! Thanks to everyone behind the scenes too. I can’t speak for the buses but @TransLink is doing a MUCH better job with Skytrain today. Smooth sailing so far and totally regular wait time. Yay for not being on the roads, thanks guys!